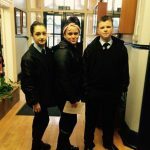 Equal Voice is a project that is based at West Monmouthshire School in Pontypool and supports Gypsy and Traveller pupils not just in education but to have their say, learn about their rights and get involved in all sorts of activities as well. They run a weekly forum with elected members chosen by the pupils and they have many achievements to their name. 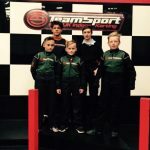 Have a look at the gallery below to see some of the things they have been up to and hover over the photos to see what the young people said. Equal Voice are also on the planning group for Travelling Ahead’s South East Regional Forums and they are working on the PEER project during 2016..
"We went to a Holocaust Memorial service and we did a reading, it is important to remember all those who died." "John was an inspiration, he told us all about his life and everything he had overcome and achieved, he was very interesting." 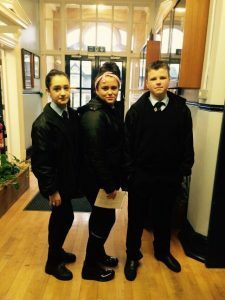 "It was good that we held an open day to celebrate Gypsy Traveller History Month, lots of people came to see what we do in school." 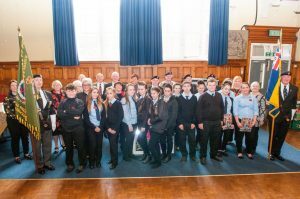 "We held our own Remembrance Service to remember all those who died in the wars. 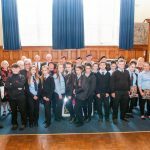 We invited the Blaeavon Branch of the British Legion, we also made and sold poppies with Torfaen Youth Service and we held a coffee morning and raised over £270 for them." "It was good being part of the transition project with the year 6 boys who are coming to West Mon in September. 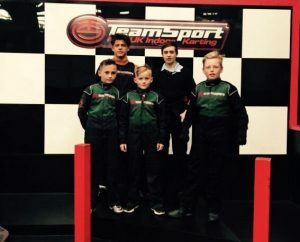 We had the chance to build a go cart with Torfaen Youth Service and then race it."